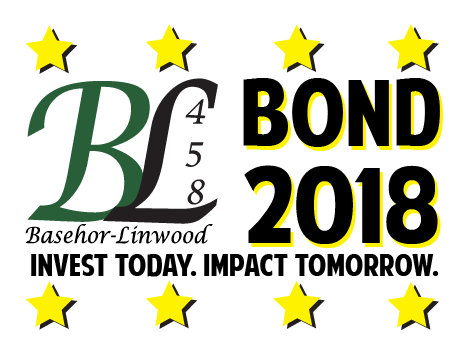 Thank you to everyone who took time to get informed about the Basehor-Linwood School District’s Bond 2018! We are ecstatic that our patrons exercised their right to vote in the mail-in ballot election over the last few weeks, and are happy to announce that Bond 2018 Question 1 passed, 2,591 (YES) to 1,784 (NO). Question 2 for athletic facility upgrades did not pass, 2,187 (YES) to 2,190 (NO). As Basehor-Linwood School District stakeholders, residents have the privilege of participating in local decisions through an election process, and we are pleased to see community members participating in that right and privilege, with over 48% of ballots turned in! This is greater participation than most general elections! We honor the voice of our community, and these election results illustrate that academics are first priority. Through strategic planning, the Board will begin addressing athletic facility upgrades throughout the next five years. We want to thank our USD 458 School Board members for their vision of providing our children with quality educational facilities, and look forward to beginning the planning and construction process.